The results from this study indicate that only about one in three people with asthma are receiving influenza vaccinations. This vaccination rate has changed little from 1999 through 2001. These results suggest that recommendations to vaccinate adults with asthma are not being met. In particular, younger people with asthma are not being vaccinated against influenza. Only approximately one in five people with asthma aged 18 to 49 years reported having received such a vaccination. Respiratory infections, including influenza, can cause serious morbidity in people with asthma. Some evidence suggests that people with asthma may be more likely to experience influenza-associated morbidity than people who do not have asthma. For example, during periods when influenza virus was the predominant circulating upper respiratory virus, hospitalization rates for acute respiratory infections among children with asthma were much higher than those among children without a high-risk condition. These considerations taken together with the fact that inactivated influenza vaccine has been shown to be both clinically effective and cost-effective—albeit not necessarily based on studies of participants with asthma—suggest that people with asthma could benefit considerably from receiving an influenza vaccine. Yet, a review of nine randomized trials noted that the benefits and risks of vaccination for patients with asthma were inconclu-sive. All but three trials had sample sizes < 100 participants. In these trials, both early and late outcomes (mortality, hospital admission, pneumonia, asthma symptom scores, lung function measurements, medical visits, number of rescue courses of corticosteroids) were examined. The authors called for additional trials of sufficient size to study the question of the benefits and adverse effects of influenza vaccination in people with asthma. Questions about the short-term safety of the vaccine among people with asthma may have been answered by a large, randomized trial of children and adults with asthma that was published after the review. In this trial, the administration of inactivated influenza vaccine did not affect the frequency of exacerbations of asthma during the 2 weeks following the vaccination. The cost-effectiveness of annually vaccinating all eligible people with asthma is unknown. The Healthy People 2010 objectives call for 90% of noninstitutionalized adults aged > 65 years and 60% of noninstitutionalized high-risk adults aged 18 to 64 years to receive an annual influenza vaccina-tion. People with asthma are included in the high-risk designation. The NHIS data show that 20.9 to 22.7% of asthmatic participants aged 18 to 49 years, 42.3 to 47.8% of asthmatic participants aged 50 to 64 years, and 64.8 to 72.8% of asthmatic participants aged > 65 years received a vaccination from 1999 to 2001. A Class-X student in Mohali died recently following a suspected asthma bout. Doctors commented on this incident that many asthma cases remain unnoticed among people, especially children. With pollution being considered as the main reason behind Asthma, many are struggling against dust and dirt in many places. Recently, Tribune News Service reported that there is 40-50 per cent increase in the number of children and adults at urban hospitals and rural dispensaries suffering from asthma, bronchitis and laryngitis followed by distress and difficulty in breathing. Asthma is a chronic disease affecting the respiratory organs resulting in a block in the normal air passage. Early warning signs occur in the form of wheezing, coughing, stuffy feeling in the chest, and sometimes mild chest pain. The first step towards treating asthma is learning about your type of asthma. If dust is what causing allergy, avoid it. For some people, it will be the change of climate or extreme weather conditions that cause asthma. Try to avoid these before you go for any kind of medication. Consult a doctor and explain all the symptoms you have. Blood test will be taken to confirm asthma. Spirometry test will also be conducted to analyse air flow normalcy. Once asthma is confirmed, oral medicines will be prescribed. Depending on the type of asthma, there will be long term/short term medications. Long term oral medicines are to control persistent asthma attacks. The most commonly used medicines are salbutamol, bitolterol, ephedrine etc. Please take medicines with the help of prescriptions from a doctor. Inhalers are mostly used for sudden relief. (MDI’s) or Metered-dose inhalers are the most commonly used. This helps the patient to inhale a short dose of aerosolized medicine. There are dry powder inhalers available as well. They are more expensive than MDI, but are being used popularly now. You may also try some simple home remedies to treat asthma. Drinking carrot juice 3 times a day helps treat asthma. Intake of gooseberry every day is extremely good to treat allergic asthma. Boil milk and put 10 cloves of garlic in it. Keep it for some time and drink. Make this a habit every day. Practice yoga and breathing exercises. You will be able to control asthma to a large extent. Avoid tension and stress in life. Again, yoga helps to avoid such unwanted physical and mental stress. Bronchial asthma is a type of problem in older people as well as young kids. An asthma connect leads to the loss and irritation from the breathing passages to the lung area. A asthma hit could be triggered from through: poor atmosphere situation, allergens, dust, as well as substance dust. Several dangerous particles can be found inside the house. Having an air purifier can reduce and eliminate triggers of bronchial asthma assault. Home air cleaners for the home work nicely at eliminating not only pollutants however most likely smoke. It does not matter what element creates your own asthma attack, a good air cleaner will probably make a wonderful change. home air cleaners purpose by eliminating contaminants in the air, as well as holding all of them. Once the filtration system gathers the contaminants, you’ll be able to breathe air that’s much purer and cleaner. There are many of different hvac filters in the marketplace. There are home air cleaners which can be set up to filter air in a single space as well as filters that can be attached to the air-con or warming system inside the home. Lots of professionals recommend the Hepa grade atmosphere solution in order to filter away this kind of contaminants because plant pollen, mildew spores, dog pet pollen, and dirt mites. Air purifiers using a Hepa filtration system are said to snare 99% on most particles up. Filtering these types of harmful particles away from interior atmosphere may reduce the actual intensity or even get rid of bronchial asthma signs or symptoms. The actual United states Lung Organization recommends a Dust air conditioning filter air purifier with regard to sleeping rooms associated with asthma patients. Depending on the actual Mayonnaise center, “an air particle filtration system is perfect for household ventilation systems.” The actual Bronchial asthma as well as Allergy Basis of The united states and also the British Allergy Foundation recommend using ionic filters and Hepa filter systems. Asthmatics can experience an attack anytime. You will find usually a few activates that produce a panic attack.Many of these triggers are available in indoor air which has not been sufficiently strained. If air purifiers are employed, interior air can be cleaned out associated with harmful particles and make the air safer to have an asthma patient in order to inhale. Purifier Program absolutely are a need for households along with family who’ve asthma. The easiest method to take advantage of hvac filters is always to put 1 in your bedroom,form other suites in which you may spend the majority of your time. Whether a person or even a individual are coping with is affected with minor to serious bronchial asthma, purifiers may be the best wellness answer. What are respiratory allergies? We must have all asked this question sometimes. We are all effected in one way or another, whether it is summer or we are cleaning our basements. These type of allergic reactions are those that affect the organs and the airways that help us to breathe. In this article, I will be sharing with you some specific symptoms and causes of this sensitive condition. The thing with people with allergies is that they are overly sensitive to certain things that most people don’t have a problem with. This would include pollen from plants, mold, dust, cockroaches and food. When a person that is sensitive comes in contact with what causes them to be sensitive, the allergen, the immune system releases a large amount of a chemical called histamine. A large amount of this histamine causes tissue swelling or inflammation or the tightening of muscles. Some people are allergic to different things. One person may be allergic to pollen, somebody else may be sensitive to something else. 1) Hay Fever – This affects many people all over the world. Hay fever usually happens in the summer from pollen such as from the grass or even flowers. 2) Food and Drug Allergies – You can get this situations from eating such things such as fish and shellfish. You will usually develop an upset stomach or even a skin reaction and breathing problems. Medications can also cause some problems. Sometimes, you may develop a reaction if you eat peanuts, milk or eggs. 3) Insect Allergies – Insects such as cockroaches is another major cause of problems. This usually takes place in cities. It also affects children in big urban cities. Bees stings for example can be very dangerous to overly sensitive people. 4) Allergic Asthma – Asthma is a fast growing disease all over the country. This problem is a major cause of hospital admission for children each year. The best way to avoid an attack is to prevent the allergen. Not always easy to do at times. You could place pets in another room where you are not in all the times. You should also make sure to regularly clean your home, so that you do not have a build up of dust. Also, make sure you do not spend a lot of time being in damp areas. This will definitely expose you to mold. If the problem gets worse, make sure to see your doctor or pharmacist. Allergies in toddlers and small children are a growing problem for parents and children alike. A recent poll of parents from an association of ear, nose and throat doctors indicated that parent’s primary concern for dealing with their child’s allergies is “giving them medications“. They are worried that their child may face years of having to ingest medication to deal with their allergic symptoms which may eventually lead to side-effects. More than 50% of the parents polled also commented that they wish their doctor could give them non-medication alternatives or recommendations as part of their child’s treatment. Fortunately, there are a few steps a parent may take to ease their child’s allergy symptoms while at home. Be more cognizant of potential indoor pollutants and their relation to allergy symptoms. Look for patterns of symptoms within hours of an event or potential allergy trigger being introduced into the indoor environment. Limit the use of all aerosol and other strong household cleaners. Chemicals which are sprayed from an aerosol can or hand sprayer are common allergy triggers. Consider using household cleaners and chemicals which are sold as allergy-proof and non-toxic. Apply the solutions directly to a clean cloth instead of spraying to limit airborne particles from invading the indoor environment. Use liquid-based furniture polishes applied directly to a polishing cloth in lieu of aerosol products. Controlling the airborne particles in the indoor environment can make the greatest impact on allergy related symptoms. Many allergy triggers are in the form of a particulate which can become airborne easily only to be breathed in by a small child. A toddler or infant can breathe in over one hundred cubic feet of air each minute. Every cubic foot of air may contain thousands of potential allergy pollutants. The allergy pollutants which fall below 10 microns in size will stay in the lungs for the body to process. When an infant or toddler breathes in too many microscopic particles, they may start to exhibit respiratory symptoms such as allergies or asthma. Use only true HEPA (high efficient particulate air) purifiers and vacuum. The vacuum is the most effective allergy prevention device available and vacuum which do not utilize HEPA filtration should be immediately replaced. Do not use ionizing or ozone producing devices in a small room occupied by a child with severe allergies or asthma. Understanding the methods and technologies available to control these airborne pollutants in the home can help transform the home environment into an allergy-free haven for any allergy sufferer. When viruses from common ailments such as the cold or the flu start causing asthma symptoms that is then called viral induced asthma. According to research there are two ways that viruses can set up the whole stage for triggering asthma attacks. There are actually two categories which can be considered when looking at viral induced asthma. The first type affects people who literally have had no experience or history of asthma but begins to develop symptoms such as coughing and wheezing which begins after a viral illness like a cold or flu for example. The second type or viral-induced asthma has been known to affect children and adults who already have persistent asthma thereby worsening the already present symptoms associated with the condition. Survey shows that about 40% of asthma attacks in adults are caused by viral illness. Several viruses can be blamed for triggering viral induced asthma but the two most common causes would be the Rhinovirus which causes colds and Influenza A which causes the flu. Respiratory Syncytial Virus or RSV is a virus that causes respiratory has also been found to cause respiratory infections in adults as well as children and infants. While RSV can pose great risks to adults it has been found to have a more significant impact on infants as getting this type of respiratory infection at a younger age would be likely to cause asthma and the symptoms associated with it until the age of 6. There also seems to be a correlation between the severity of the respiratory infections, allergies in the child or parent, and the chance of having airway sensitivity that is very similar to asthma. The main reason as to why viruses cause asthma it seems lie within our own body’s defence mechanism. Under normal circumstances, when faced with a viral infection, our body triggers and inflammatory response to attack the virus and defend our body. During this phase, our body has increased sensitivity or airway cells, excessive mucus production and can cause swelling. The problem starts when the virus starts to progress to the lower airway directly because our body start defending it from there causing asthma symptoms to occur or worsen in return. Inflammation can make it difficult for air to pass in and out freely, mucus can also add to the problem by blocking the already inflamed passages. As of the moment there is no effective means being offered which can directly deal with the condition. 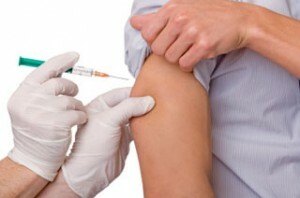 The best advice that can be given would be prevention by getting flu shots yearly. Along with practice of proper hygiene and limited contact with those who have flu or colds can help. If you’ve had your first asthma attack, you need to make an appointment with your family doctor as soon as possible.You will receive emergency treatment in your nearest emergency room, but this is just the beginning. Asthma is a serious condition – as you are probably now very much aware – and it requires consistent and ongoing medical treatment with a doctor who is familiar with your situation and your health condition. Your doctor should prescribe you a rescue inhaler as well as medication that you take every day to control your asthma. As you might suspect, the rescue inhaler is typically only used when you have an actual asthma attack, and the daily medications are used to prevent asthma attacks as best as they can. For rescue inhalers, your doctor will typically prescribe a medication such as albuterol or atrovent. Again, it is important that you follow your doctor’s instructions before using these inhalers, and typically, you will need two or three inhalers so that one is always in easy reach. You also need to write down when you need to use the inhaler, and how many puffs were needed to each an asthmatic situation. This information will be very helpful to your doctor when he needs to make modifications to your medications. For control medication, which is typically taken each day, your doctor may prescribe inhaled corticosteroids, beta-2 agonists, Leukotriene modifiers, or medications such as Theophylline or Cromolyn. If your asthma attacks are brought on by allergies, medication will typically be prescribed for the allergy as well, and your doctor may suggest immunotherapy as well. Note that your doctor may change your prescriptions or dosages numerous times until the right medication and the right dosage is found for you. Over time, medication will need to be adjusted due to changes brought about by age. Your doctor should try to determine what caused your asthma, and what triggered the attack. This information is very important. For example, if an allergy or an illness triggered the attack, you will need to take measures to avoid the trigger, and you may need treatment for the allergy or illness as well. Again, your doctor may change your medications based on how you are experiencing symptoms and how often, as well as how often you have asthma attacks and the severity of those attacks. Realize that your doctor won’t just change your medication without having a good reason for doing so.